Another pot, fresh out of the kiln! 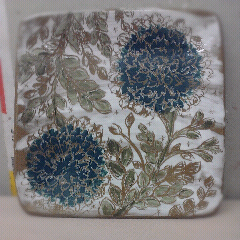 This one's a 9 x 9 dinner plate. So fun! I am loving all this carving! Headed to Black Mountain today to take pots to Mountain Nest gallery!